Denna nöd LED lampa borde vara ett måste att ha i bilen, båten eller snöskotern. 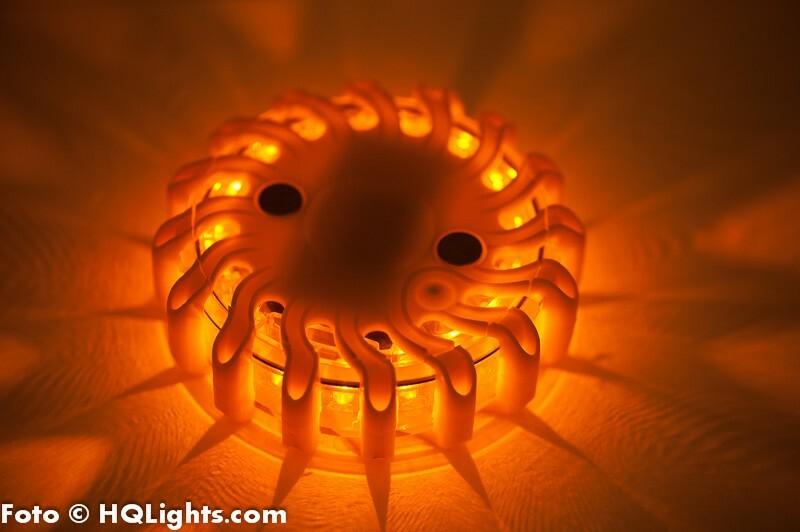 9 olika blink/lys program. Extremt tålig och stark ljus syns på ett par km avstånd vid god sikt. Finns med både laddabara batterier och laddare eller med ett starkt icke laddbart batteri. Flera färger att välja på. Lampan är gummibeklädd och har stark magnet. Används bl.a. av polisen i USA. This powerful emergency LED was initially used by US Police. It's extremely well constructed for heavy duty use. Works on all weather conditins and situations. Highly recomended to always keep one in your car! Also perfect to take with you on trekking, hiking, off pist skiing etc. 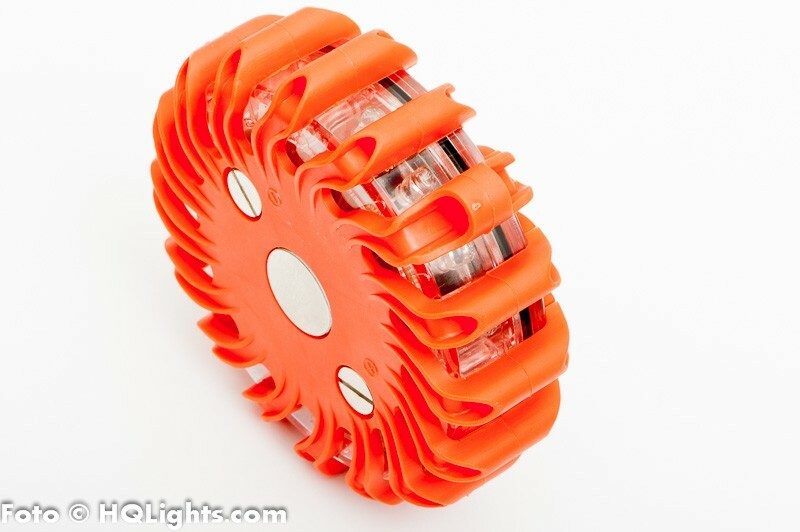 Can be attached to any metal surface by the strong megnet inside, or put on the ground. Battery last very long time. 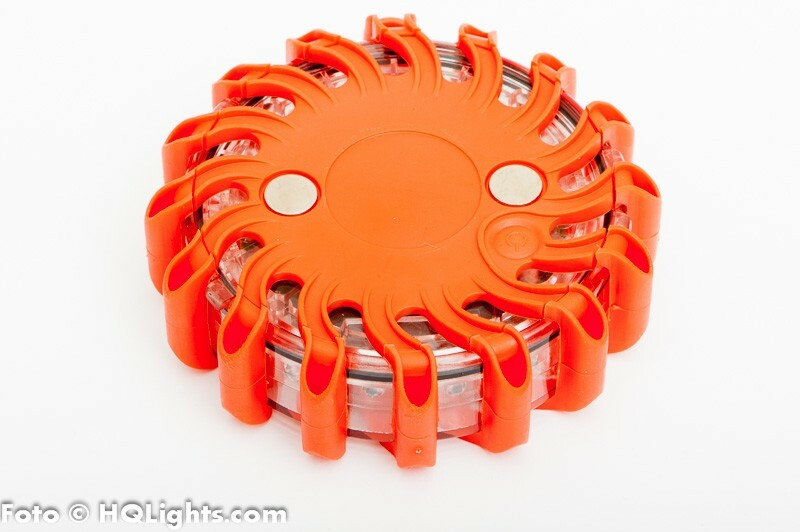 This is extremly durable Magnetic Road Flare (aka UFO LED). 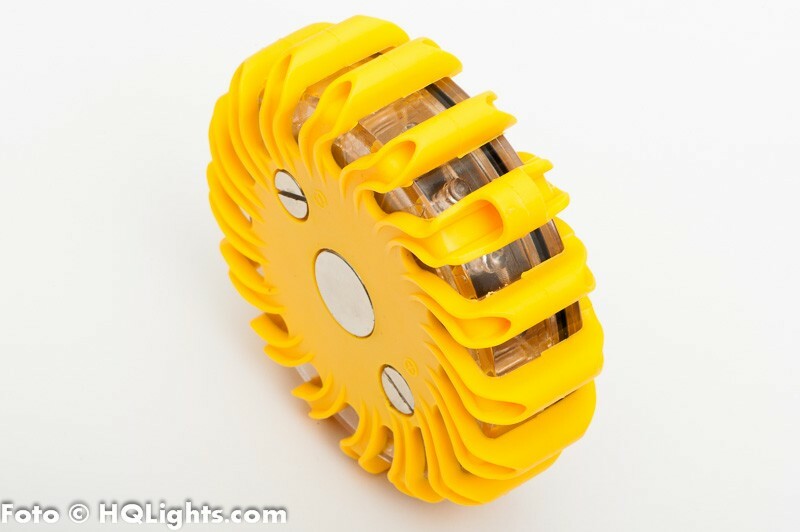 Can be as used for safety / emergency beacon for any vechicles, marine, road works, campers, hikers etc. 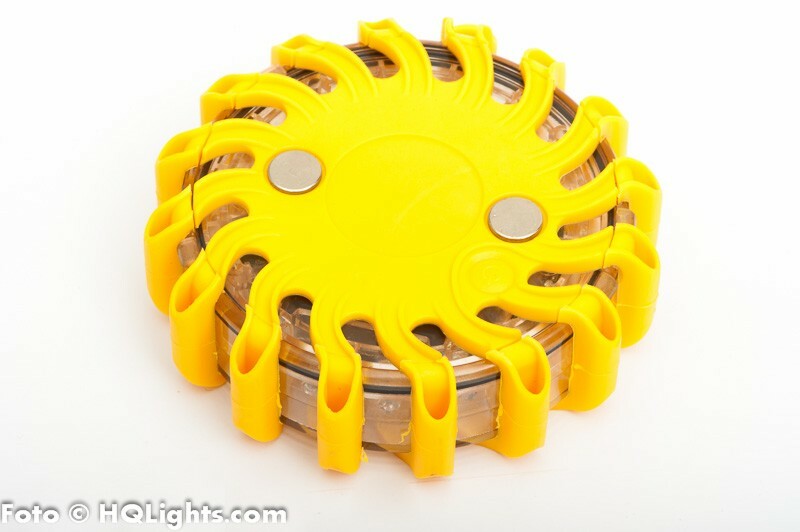 Perfect to always keep in your car as emergency car breakdown light! Use it as a warning for road works, accidents or any danger. Powerfull LEDs are visible 1-2 miles away. Long lasting battery (~80 hours). 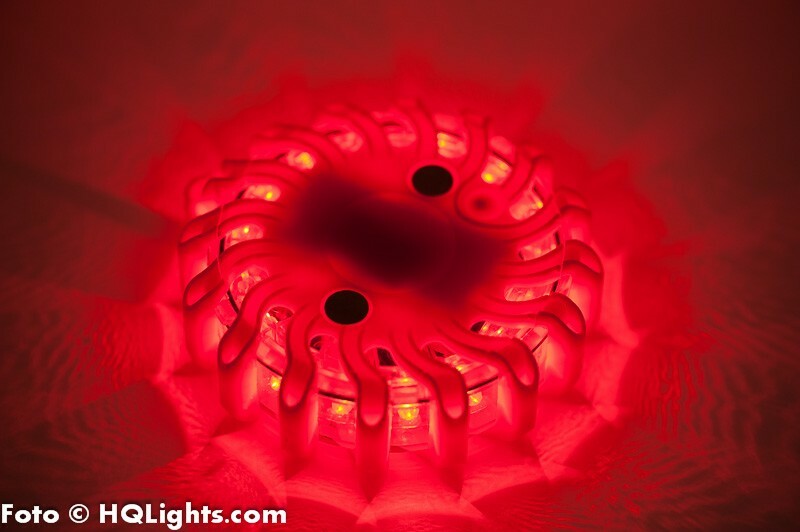 9 LED patterns, shock proof, water proof, almost indestructable! Magnetic, can be placed on vechicles on any flat metal surface. Can also be placed safely on the ground and roadway. Note: This light can't be charged. You need to change the battery if the battery run out (CR123 battery).